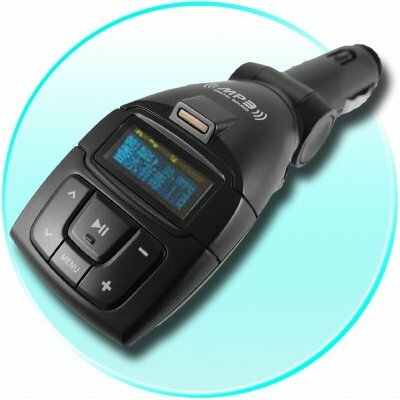 Successfully Added Car WMA + MP3 Player 1GB - FM Transmitter to your Shopping Cart. In car use MP3 and WMA Player that plugs directly into your cigarette lighter and will transmit the songs to your cars own Audio System for great sound quality. It already has 1GB of flash memory (enough to last several hours), but you can expand this by another 2GBs via a SD card for even more music. Also included is a LCD Screen which will tell you which song that you are currently on, making music selection a snap. Available as a single purchase, or buy in bulk for further savings, and each one comes with Chinavasions 1 year Warranty..